Shortly after The First World War ​(1914-1918) a group of ex-servicemen, comrades of the war years, met at a variety of venues in Bridgnorth. With the help of a loan from the Prince of Wales' fund in 1921, the Comrades Club was formed and met regularly in the Market Hall at the top of Listley Street. In 1962, after the clubs annual dinner, a singsong developed and Colonel Marsh suggested that a Male Voice Choir could be formed as part of the club activities. 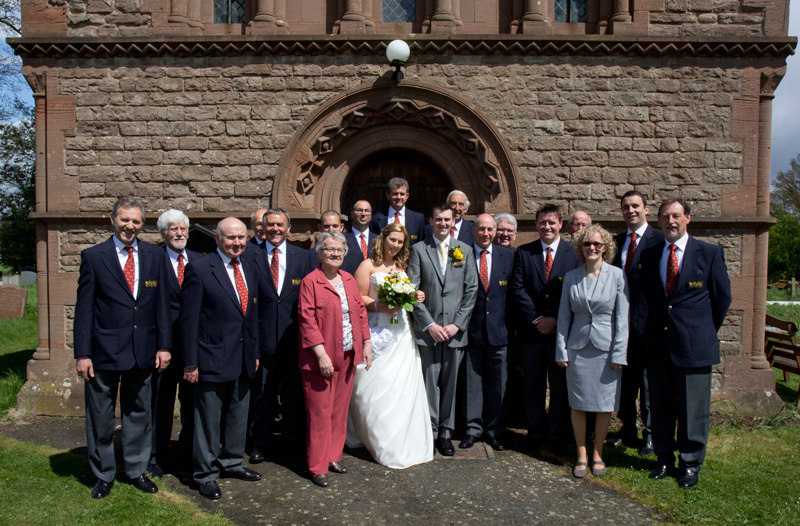 For various reasons, in 1996 the choir dropped Comrades from their title and became known as the Bridgnorth Male Voice Choir and were the Towns’ official choir. Despite the name change, the choir maintained its very close links with the Comrades Club which supported and helped raise funds for the choir. Unfortunately, this relationship and association finally ended when the Comrades Club closed its doors for the last time in 2006. At that time the choir itself was still going strong but was now in desperate need for a new venue for rehearsals. After a lot of searching, the choir eventually found a new home, care of the Danery Public House in Quatford where the choir rehearsed until August 2018. In September 2018, the choir moved back to Bridgnorth and was made welcome at the club house at AFC Bridgnorth Football Club where it continues to rehearse, every Monday evening from 7.45pm to 9.30pm.